Monno Medical College & Hospital (MoMC)is a non-profit private medical college in Bangladesh which was established in 2011. 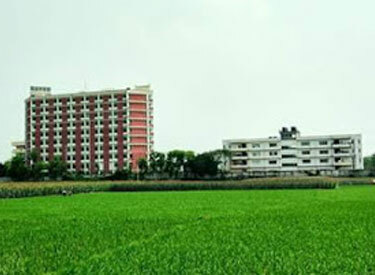 The main campus is located beside the Dhaka–Aricha Highway at Monno City under GhiorUpazila, in the Manikganj District of Dhaka Division. It is affiliated with University of Dhaka. It offers a five-year course of study leading to a Bachelor of Medicine, Bachelor of Surgery (MBBS) degree. A one-year internship after graduation is compulsory for all graduates. The degree is recognised by the Bangladesh Medical and Dental Council.Harunar Rashid Khan Monno established Monno Medical College in 2011. Harunar Rashid Khan Monno established Monno Medical College in 2011.The college is located in Monno City, Gilondo, GhiorUpazila, 7 kilometres (4.3 mi) west of Manikganj, on the south side of the Dhaka–Aricha Highway. The main buildings on campus are ten-storied academic building; separate hostels for male students, female students,male interns and female interns, Dormitory for doctors & Professors; and Monno Medical College Hospital, the college's five-story, 500-bed teaching hospital.The college is affiliated with Dhaka University as a constituent college. The chairman of the college is Afroza Khan Rita. The principal is Md. Akhtaruzzaman.